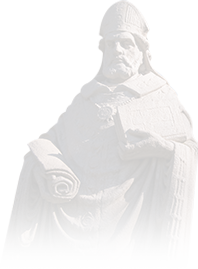 For St. Ambrose University students, the first day of classes is more than just getting four syllabi all in one day. Instead, after all classes have ended, theatre-minded people from across campus swarmed to Allaert Auditorium for the traditional SAU theatre picnic. The SAU Theatre Picnic has been tradition for many years. The evening always begins with a brief scholarship meeting, where all current theatre majors or minors awarded scholarships socialize. They also commit to working 30 hours on each main stage production and one additional theatrical performance (either in the Studio Theatre or for a class). Then, our delightful St. Ambrose University faculty arrives, and the theatre picnic festivities began! Each attendee grabbed a plate, filled it with delicious pizza and cookies, and began to socialize with their fellow peers, both new and returning. "The theatre picnic is an excellent way to help first-year and transfer students become better acclimated to the family vibe our department prides itself on," sophomore Luke Peterson said. "I personally love getting to know all the new faces, and I hope each of them leaves at the end of the night feeling welcome into what will soon become their home away from home." 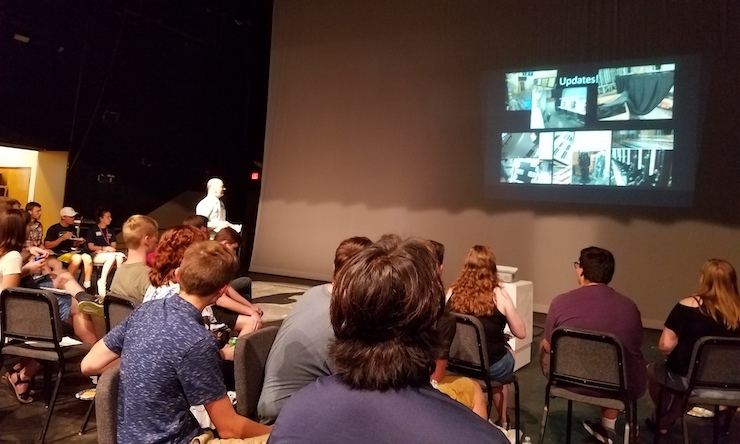 Once everyone settled into seats, faculty members Kris Eitrheim, Dan Rairdin-Hale, Dr. Corinne Johnson and Lance Sadlek led presentations on what to expect from the Theatre Department for the 2018-19 school year. Together, they explained all the main theatre events of the season, including the main stage shows, Studio Theatre productions, and other departmental offerings. This year, two new opportunities surfaced. An improv team, led by Spotlight Theatre co-owner and professional improv actor Bret Tubbs, will offer improv training and performances for a select number of students. "I am very excited to see an improv team back on campus," Johnson said. "In the late 1980s and early 1990s, I led an improv group, which is still together today. But I am absolutely jazzed to see Brent Tubbs bring this important art form back to life on this campus again." Another new departmental offering announced was the Theatre Appreciation Club (TAC). 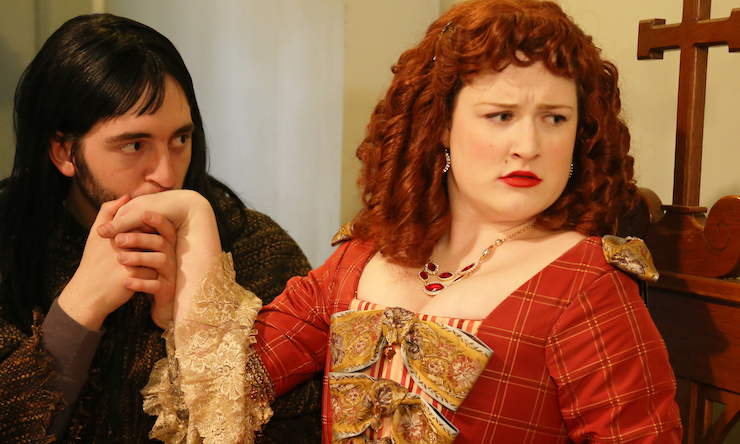 This newly-established club is open to all St. Ambrose University students who have a passion for theatre, whether it be acting, designing, painting or just watching. TAC officers and sophomores Luke Peterson, Ellie Larson, and Haley Rhoads explained the club's mission statement and how to become a member. Additionally, they announced that TAC will be taking over the responsibilities for what was formerly known as SAU Callboard. 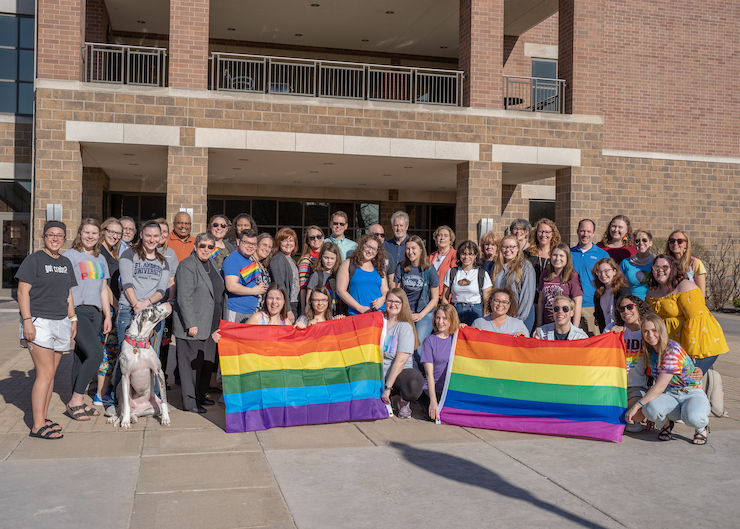 Rather than electing class representatives for each grade, students who want a voice in topics such as 2019-20 season selections, KCACTF feedback, and planning the end-of-the-year Galvins can join TAC and their voices will be heard. "Our goal with the Theatre Appreciation Club this school year is to be all-inclusive," Peterson said. "We want a broad range of members who appreciate all aspects of theatre. Last year, it was common to meet students who wanted to be involved with our department but couldn't commit to the heavy time commitment of a production. By creating this new club, we strive to give all students who appreciate theatre the chance to make new friends, try new activities, and see amazing theatre in the Quad Cities. Absolutely everyone is welcome!" Once the last PowerPoint slide was read, and the last cookie was eaten, it was time for the picnic to come to an end. By the end of the night, all theatre-minded students, friends, and faculty were definitely able to leave the auditorium feeling hopeful that the 2018-19 theatre season will be yet another successful year.